Links forthcoming, but for now, enjoy this Forty Creek-fuelled pubcast where we discuss just how many of Alton Brown's recipies are in the ZFC cook book. 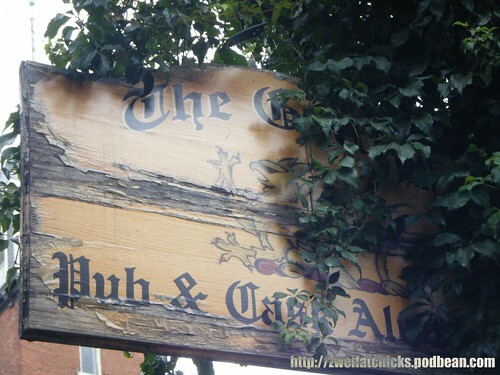 This week's episode is a pubcast - as such, listener discretion is advised. There are a few eff bombs, and we are podcasting from a pub discussing adult beverages, so use your judgement when choosing to listen. 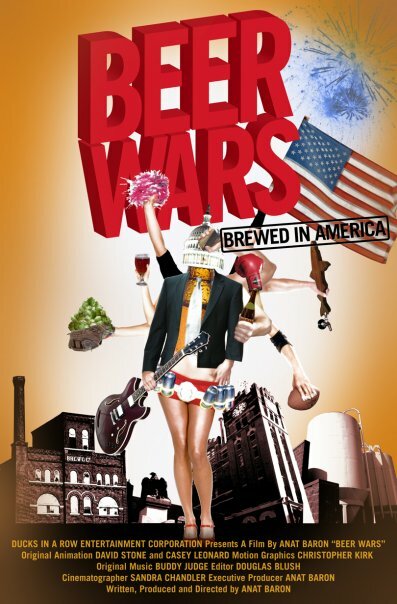 We discuss the documentary Beer Wars, which discusses how microbrews are fighting for space on shelves with the Big Three (Budweiser, Miller, Coors) in the USA. We also discuss other trivia, so pull your favourite pint (or other beverage) and tune in! 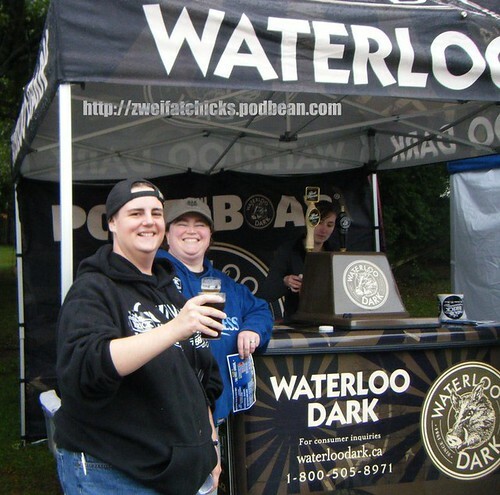 What a great beer and great folks! We had an amazing time. Lots of links for this show, which clocks in at about an hour. The Brothers Peat - No Website Available. Please follow us on facebook, MySpace and twitter! You can find us under zweifatchicks@gmail.com. If you like what you hear, spread the word and tell your friends about us. Our theme music is “Hot Swing” by Kevin MacLeod (incompetech.com) Licensed under Creative Commons “Attribution 3.0″ http://creativecommons.org/licenses/by/3.0. As a mea culpa for the 100 Mile Podcast of Glitchiness -3 (Cursed Item), here is Pubcast Numero Zwei a little bit early! Optional drinking game: take a sip/shot of your choice whenever one of us says, "Robert Simpson Brewing Company" or Tracy says "fantastic". Please follow us on facebook, MySpace and twitter! You can find us under zweifatchicks@gmail.com. If you like what you hear, spread the word and tell your friends about us. Our theme music is "Hot Swing" by Kevin MacLeod (incompetech.com) Licensed under Creative Commons "Attribution 3.0" http://creativecommons.org/licenses/by/3.0. Welcome to our very first pubcast! This was recorded on the Monday of Canada's Victoria Day weekend. It's going to be half an hour of discussing beer and cheer! Studabakers (211 Mississaga Street East, Orillia, ON. 705-259-4646) - no website available.